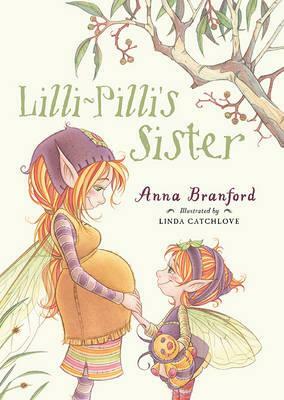 Lilli-Pilli’s mother is going to have a baby. Lilli-Pilli is very excited about having a baby sister, she knows it is going to be a sister because she can feel it in her wings. Lilli-Pilli is helping her dad make the baby’s crib and he sends her out to collect some soft things to put in it, so it is comfortable for baby. As Lilli-Pilli speaks to others she begins to wonder if her wings are right because they seem so sure the baby will be a boy. 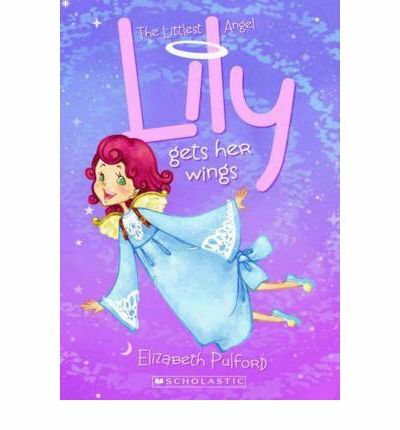 Is Lilli-Pilli wrong to trust her wings? This is a totally adorable book about getting a new baby in the family. It shows how a big sister (or brother) can help out even before a baby is born. The lovely thing here is the feeling of family and community, if you are looking for a picture book to help with the concept of a new sibling this is a great choice. The text is beautifully descriptive and the illustrations delightfully whimsical. A real delight to read and re-read. I am unashamedly a fan of Anna Branford’s work. Bella is a little different from the other fairies because she has tiny wings, that means Bella can’t fly. She is able to bounce and climb and plenty of other things but she still longs to fly. Mean Delfine picks on her all the time. Then one night something terrible happens and Bella is the only one who is able to help. Is she brave enough to do what needs to be done? Limitations don’t mean you are useless, Bella is the perfect example of this. An entertaining story of how an underdog can win. It is told simply and accompanied by pretty fairy illustrations most girls will enjoy. A fun story of believing that you can. Lily is an angel in training, she hasn’t even earned her first pair of angel wings yet. In fact that is what today is all about. Things don’t start well though when she discovers her practice wings have gone missing. She needs to find them in time to take the test. The test has three stages and Lily, who is quite clumsy isn’t sure she can pass any of them but she must if she is to ever attend Amelia’s Angel Academy. Lily is a really charming character, full of heart. All the clumsiness and disasters just add to her appeal. The story itself is enjoyably told, a pleasure to read as there are plenty of humourous moments. This book os probably most suited to 8 to 9 year olds who are confident enough with their reading but not ready yet to move on to longer or more complex books. The only word of caution I have is that it is printed in pink and that makes it a little difficult to read. Geronimo is having a really bad day, the last thing he expects to find in his attic is a jeweled music box and a golden staircase. Despite being such a fraidy mouse Geronimo climbs the stairs and goes through the door he finds. Beyond that door lies the Kingdom of Fantasy. There he meets Scribblehopper, who mistakes him for a knight in shining armour. Despite his protests Geronimo is charged with the task of rescuing the Queen of the Fairies. To get to her he must first get through six other kingdoms, those of the: Witches, Mermaids, Dragons, Pixies, Gnomes and Giants. 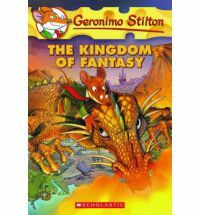 Each of the kingdoms has it’s own challenges and Geronimo must face some things he truly fears – all while insisting he is no knight. Will Geronimo and his new friends be able to cross the strange and dangerous lands and get to the Queen in time. This is a super-sized Geronimo, transplanted into a fantasy realm filled with all your favourite kind of fantasy characters: witches, mermaids, unicorns, dragons, monster bugs, trolls, giants, pixies, gnomes and even talking frogs. This is a fun introduction to the genre of fantasy. For those young readers that could do with a bit more of a challenge then these books could be a step in that direction. They continue to be presented in the same style as the original series, with some of the same characters and some fun new ones. The main difference is the size as this comes in at over 300 pages. Quite an enjoyable read with the added challenge of coded messages throughout. Phredde is a phaery, she is tiny, ferocious and her proper name is Ethereal. She is Pru’s best friend. 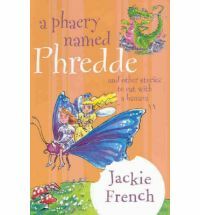 Pru had never met a phaery before Phredde’s family moved in next door and it turns out that having a phaery as a best friend is grand and fun in a whole lot of ways. Then Pru’s brother thinks he’s turning into a werewolf, her vampire teacher turns 400 and a dragon starts getting into the rubbish bins. Things get a little strange but still a whole lot of fun when there is magic involved. This is a fun collection of stories about phaeries (not fairies), magic, mythical creatures and friendship. The stories are entertaining and easy to understand, the format of this book puts it a step up from beginning chapter books, with each story coming in at around 25 pages there and no real illustrations. The take on vampires, werewoves and dragons are all very age appropriate and French’s easy style is a pleasure to read. 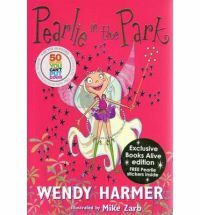 I will say this, if you are looking for something more traditionally ‘young girl fairy’ in style then this probably isn’t where you should go as Phredde is more rock ‘n’ roll that ballet, but her attitude is what makes her so fun. It’s carnival time and the Sunnydays Carnival is is coming to town, Kirsty and Rachel are so excited. Things down’t go according to plan at the opening, the girls notice goblins and wonder what they could possibly be doing. It soon becomes clear, Jack Frost and his goblins have stolen the three magic hats that make the Sunnydays Carnival work properly and be so much fun. 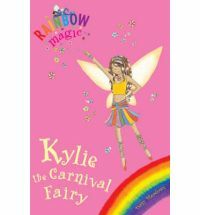 The girls meet Kylie the Carnival Fairy and over the next three days set about getting the hats back one by one so the carnival isn’t ruined for anyone. These books are incredibly popular. This one has three stories in it, one for each day of the carnival. The language is easy for young readers to understand. There are simple line illustrations on every page, breaking up the text so it doesn’t seem too daunting. The stories are short but still broken into chapters, and quite fun. 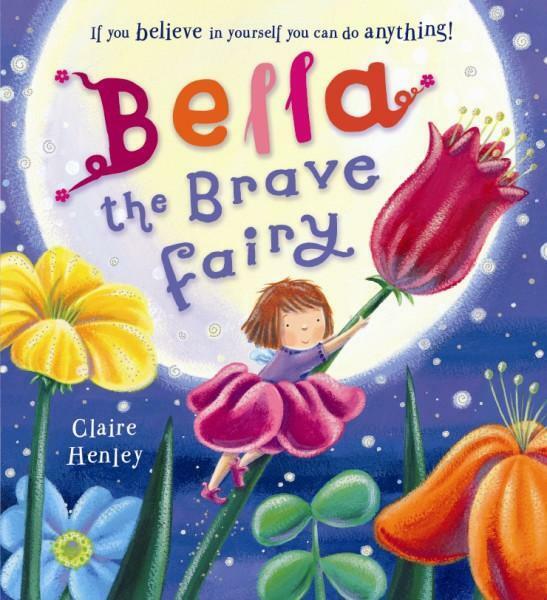 As there are over 100 of them the are a good way to keep girls reading, being about fairies there is no question they appeal more to girls, the fairies are girls and the main characters are girls, the cover design on the special editions, like this one, are all sparkly. With so many books and therefore so many names for the fairies a lot of little girls can get a book with their name in the title. I though it only apt that I reviewed my namesake, and while it was entertaining enough I think I would a bit sick of them after a while, so enter the Fairy Realm with caution, fairies can be addictive.